The Valugan shoreline is not meant for hurried walks but for contemplative meanderings. Sit on a boulder and watch the waves, feel the breeze. 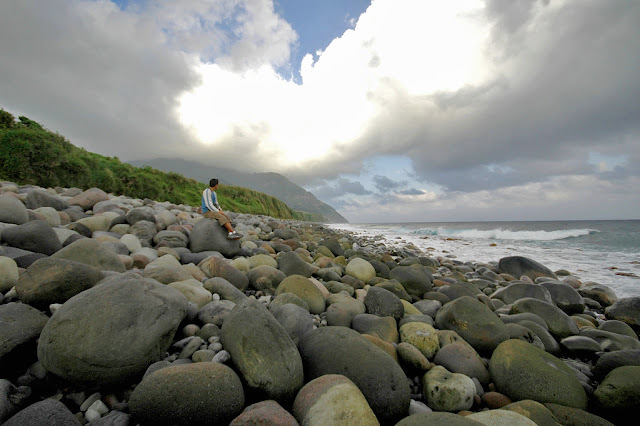 Pick up stones and cast them (like your worries) to the sea. Slowdown to catch up with yourself. A great time to spend for contemplating. Beautiful picture. I love the view and the rocks.